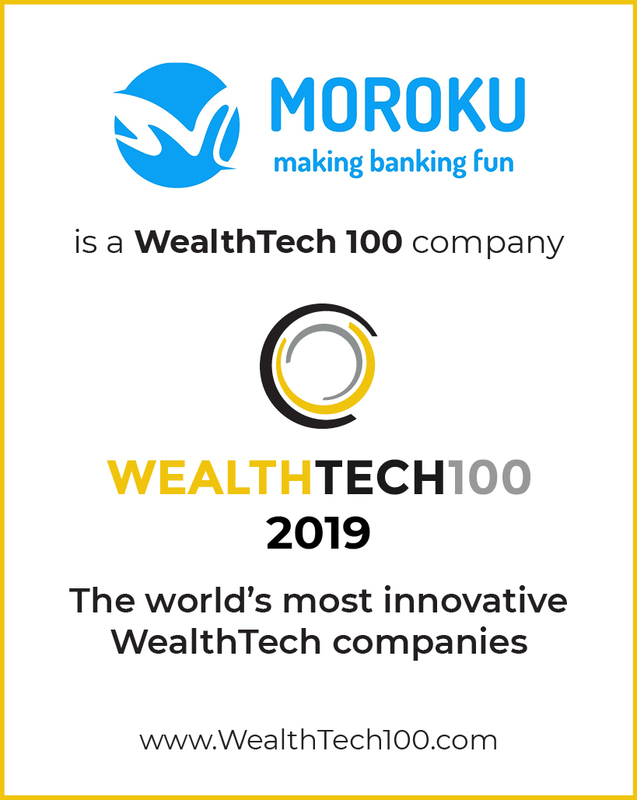 The most innovative tech companies providing solutions for the global wealth and asset management industries in 2019 have been announced on this year’s WealthTech100 list (www.WealthTech100.com). This list identifies 100 of the companies that every leader in the wealth and asset management industries needs to know about.. The companies on the list were selected by a panel of analysts and industry experts who reviewed a study of over 1,000 WealthTech companies undertaken by FinTech Global. So why did Moroku make the cut? Almost 40% of workers with a retirement plan in the United States are woefully unprepared for retirement, with less than $25,000 in total savings and investments. That’s not a huge surprise when you consider that 21% of workers with an employer-sponsored retirement plan are not contributing to their plan; 44% are saving less than 10% of their income; and 33% are not familiar with their retirement plan’s investment options. Things in Europe and Australia are about the same. Research from the MIT AgeLab suggests gamification can make a significant difference in how a client responds to the type of retirement planning advice the industry offers. Too often, people don’t plan for retirement because it seems too boring, complex and scary. Financial wellness takes into account choices and consequences. However, many people can’t visualize their future well enough to understand the interplay of these concepts. That’s where gamification and goals-based experiences can help. People like to see how their choices impact their retirement goals, based on a number of inputs and assumptions. They like to see the positive impact of a higher savings rate. They get rewarded and encouraged for making progress. They can see how they are doing comparatively.People want to win and they like seeing themselves win. Gamification appeals to a broad range of personality types by providing clearly defined rules and rewards, engaging friends and family members and the clear visualisation of progress. There is a real opportunity to shift the amount of attention and effort people put into financial planning by engaging customers in their own retirement planning process, giving them more control and by so doing, diminish fear and indecision. Gamification is a great way to deliver a fun, interactive client experience that facilitates a more dynamic conversation and a deeper discovery process, which should result in better retirement outcomes. This opportunity is particularly relevant for the target segment – Gen Y. Although Gen Y is often referred to as the “technology generation,” a more appropriate moniker would be the “connected” generation. Throughout their lives they have played online games to connect, compete and compare themselves with friends (both real and virtual). And there’s growing evidence that plan sponsors can leverage this mindset to design online gamified wealth management experiences that engage Gen Y around financial planning and well-being. 1/ It’s a journey – We’re not going to turn this around overnight but future customer capture is dependent on it. Take the time to map the journey from start to finish and think about all the things that need to occur for success to result. 2/ Make it fun. Its really boring and hard and that’s why people don’t do it. If clients are going to pay attention and start doing things they’d rather not we better make it fun and rewarding or they will revert to form. These numbers are well known and have lead to all those customers who have more than 250K being wrapped up in a wealth advisor relationship. If there is to be any growth in the segment we have to find cheaper faster ways to serve those with less than $250K in FUM and get them saving. The only way to serve them is via mobile and online. This is why investors are pouring hundreds of millions of dollars into startups that provide online financial guidance. Some of these companies offer portfolio-management tools in competition to traditional advisors and banks. Although they are startups and have yet to generate substantial revenue or profit, they are fetching lofty valuations as investors view them more like Internet companies than as conventional financial-services firms. Redwood City, Calif.-based Personal Capital, for example, has no branch offices but offers access to human advisers in addition to online account-tracking tools and automated investing. 30% of the more than $1 billion in assets it manages are in accounts of $1 million to $10 million. Other firms, including Betterment and Wealthfront, charge lower fees—or for some small accounts, zero fees—and cut out human advisers almost entirely. Wealthfront focuses on younger investors, with half of its customers under the age of 35. Current superannuation, 401K and wealth management providers must move to mobile with fun, guided experiences because its the only way to grow and if they don’t the Betterments of the world will begin to eat their lunch. Daniel R. Odio was CEO and co-founder of Socialize, Inc. The 39-year-old, who sold his social-media company two years ago, said he often uses Betterment’s iPhone app to add more money to his account. “It’s the gamification of investing. I love the feeling that I get when I use it,” he said. Moroku makes banking fun. When we make things fun people, turn up, play, enjoy themselves and win. When banking is like this, banks are on purpose and build strategic competitive advantage beyond price.